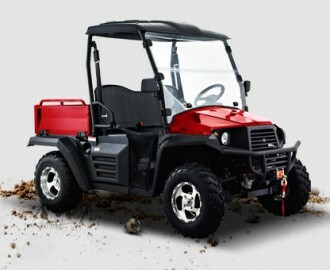 Make the most of your valuable time with the Hisun HS400-UTV. Hisun UTV’s make the toughest jobs seem routine. Whether it’s clearing a driveway, moving debris or a weekend trip to your favorite hunting spot; the HS400 stands ready. 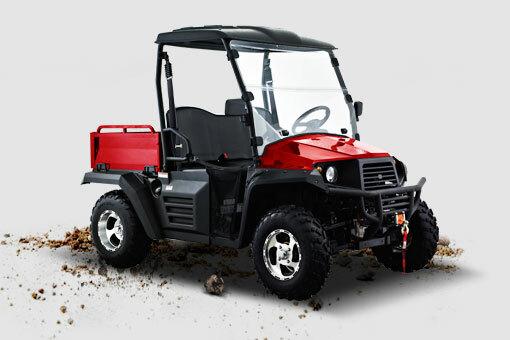 On demand 4-wheel shaft drive and an Electronic Fuel Injected four stroke engine make small chores and even big jobs easier. Work or play; you’ll have a smile on your face knowing you got the best value on the market in UTV’s.